The draught in the underdeveloped Pakistani regions of Sindh and Balochistan is rapidly developing into one of the worst disasters in the country. Pakistan Red Crescent Society (PRCS) has completed a rapid assessment in two of the most vulnerable districts and intend to expand the operation to other areas for completing the detailed need assessment during the disaster emergency relief operation. These areas were already prone to water shortages, but the lack of summer rain has created extreme circumstances. The draught is badly affecting food production systems, and thus the health of communities, especially women and children. 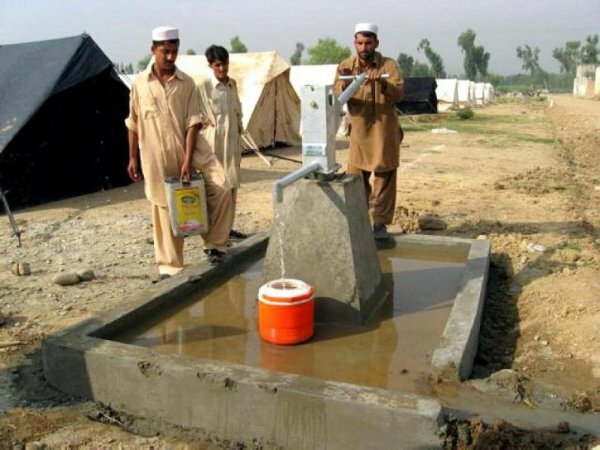 The lack of portable water is additionally leading to the spread of disease. Some communities have resorted to drinking saline or unfit water, while other have been forced to migrate in the search food, water and employment. The PRCS has completed its rapid assessment early this month [January 2018] in six most vulnerable districts in Sindh and Balochistan. The three districts in Sindh were Tharparkar, Umerkot and Badin, while those in Balochistan included Noshki, Kharan and Pishin.